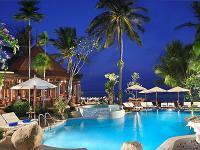 Hotels Thailand holiday accommodations from Thailand Ebooking. Thailand hotel online reservation, Thailand flight ticket, bus ticket, train ticket. Hotels Thailand, holiday hotels for your trip to thailand. Thailand flights and hotels. Accommodation, Villas, Hotels in Koh Samui, Krabi, Koh Lanta, Koh Tao, Bangkok, Phuket, Pattaya and more areas. Thailand Ebooking is the travel agency for an unforgettable holiday in Thailand. We only add reviewed and high quality accommodation of the most popular holiday destionations in Thailand to our online catalogue. We offer you flights and accommodation from a single source. On request we can organize package tours through Thailand including all the best landmarks and places of interest. Why would you book with us ?